Discover the world of chocolate at the Salon du Chocolat! 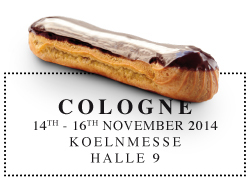 Meet the greatest chocolatiers, chefs and pastry chefs from Germany and all over the world. 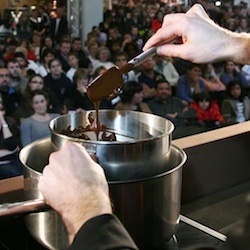 Indulge in their exceptional chocolate creations and watch live demonstrations of recipes. Take part in many other gourmet activities: conferences, pastry workshops, exhibitions and workshops for children. Last but not least, enjoy the famous Chocolate Fashion Show every day at 5:00pm.